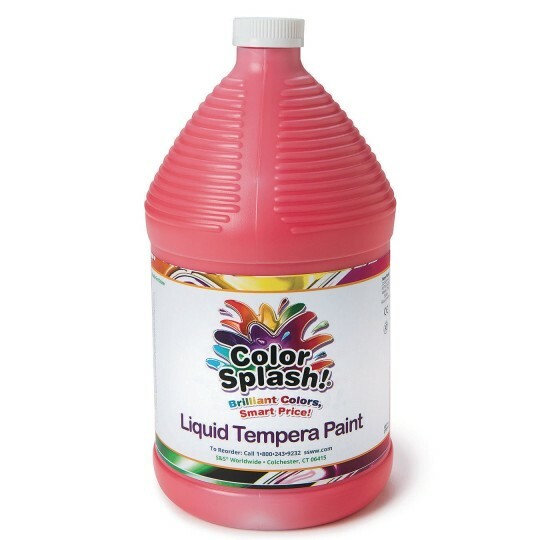 Color Splash!® Liquid Tempera in a value 128-oz. size! 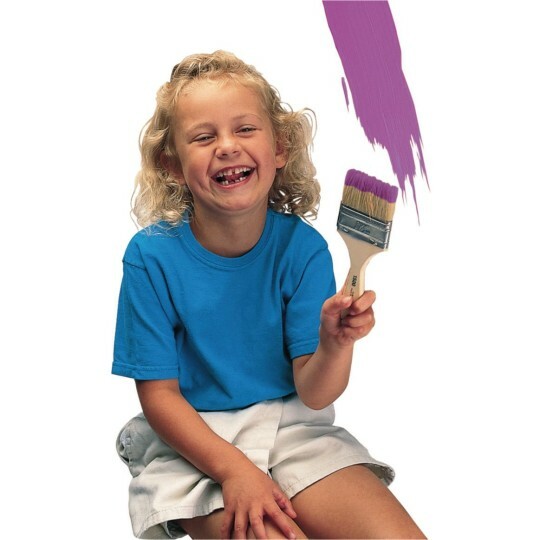 Washable paint for worry-free fun! Great poster paint. Non-toxic. Won't flake, crack or chip and dries to a beautiful matte finish. Color options include: Magenta, Red, Orange, Yellow, Green, Turquoise, Blue, Violet, Brown, White, and Black. Shades of color may vary. Shake well before use. Gallon size bottle pumps sold separately (Item #AS160). we use alot of paint throughout the summer but i got to say we don't get through all the paint. if you don't use it all it gets moldy. not a good thing. Great product with lots of color choices. Easy to order and fast delivery! Being able to easily pour this product into smaller bottles is very helpful. I work in a middle school and letting the kiddos help is good. Paint what's not to love? Easy use for mixed ages. Perfect for painting murals on walls at our school!